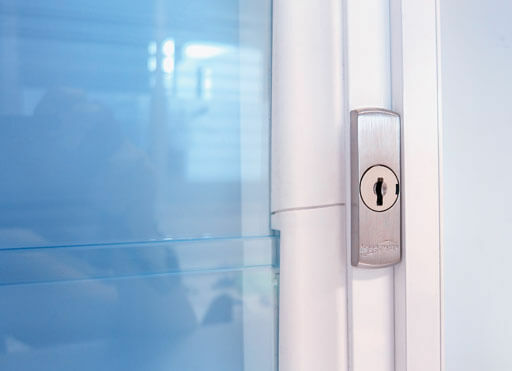 Widest range of customising options including handles, colours, screening and security options. 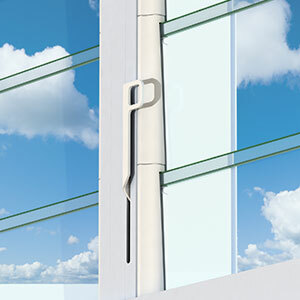 Altair® Louvre Handles to suit your situation. For technical details please visit the Technical page. Designed for installation within some bi-fold and sliding doors. 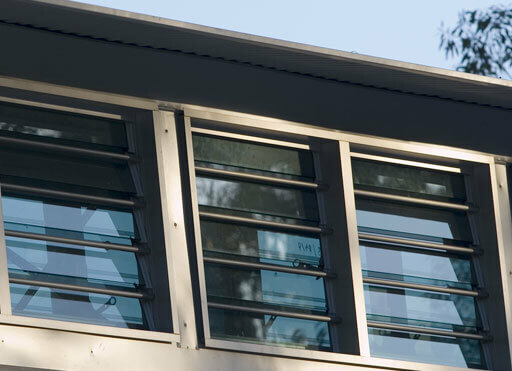 Operate louvres when an inside screen is installed – for the Innoscreen Window System only. For louvres out-of-reach and operated by a map rod. Scroll down to view map rod details. Online viewing of 3D models is a relatively new technology. Viewing 3D models requires a fast internet connection and reasonably high speed computer processor. Viewing may not be possible on some older computers. We recommend Google Chrome for the best viewing results. NOTE: Whenever you see this symbol click on an illustration to view a 3D interactive version. Rotate the model by using your left mouse button or pan the model by using your right mouse button. Use your mouse wheel to zoom. Map Rod used in conjunction with the Ring Pull Handle when installed out of arm’s reach. NOTE: Handles are placed on the left side of the louvre blades (viewed from inside). This can occasionally cause issues with handle access and instead Right Hand Control can be requested at time of order placement. 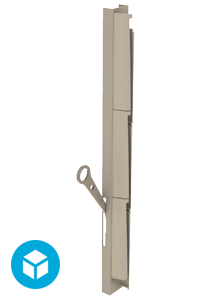 The vertical position of handles may also cause occasional issues with access or operation. The handle position can often be changed by special request at order placement. Including Standard Handle, Low Profile Handle and Ring Handle. With Altair® Louvre Windows you can choose blades that best suit the windows function, such as maximising views, letting in/reducing sunlight, reducing glare, gaining privacy or creating your own design style. Altair Louvre Windows are available with two blade heights: 102mm (4”) and 152mm (6”). The length of the louvre blade is typically based on the bay width required for the window application and any length restrictions to comply with Building Codes. For more information see FAQ “How wide can my louvres be?”. The Altair Louvre design has been optimised for 6mm thick glass and 14mm thick timber blades. The use of other thicknesses will compromise the performance of the product and are not warranted by Breezway. Blades that are mechanically retained by the Stronghold System (i.e. A high strength acetal pin that is inserted through the Stronghold clip, bearing and blade) are available for use with 6mm thick, 152mm or 102mm drilled glass or aluminium blades. For more information, visit the Stronghold System page. 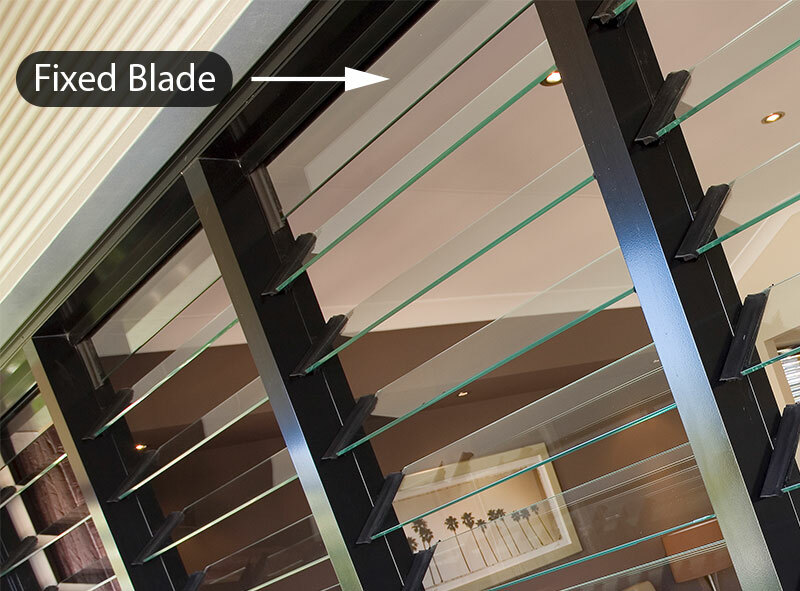 Altair Louvre blades can be made from glass, timber or aluminium. Timber blades are available in the Western Red Cedar species. Obscure, grey, green, toughened for extra strength and safety, with a clear low e coating for enhanced energy efficiency, or good old sparkling clear glass! As long as it’s 6mm thick, almost every type of glass can be installed into an Altair Louvre Window. Western Red Cedar timber blades let the breeze in and create privacy at the same time while reducing the amount of heat passing through the window. All timbers can be stained to blend in with your home. Aluminium blades are virtually maintenance free, can’t rust and never need painting. Our aluminium blades are offered in a large variety of powder coated colour finishes including Decowood for that eye-catching timber look. Select the right blade to suit your situation. Toughened glass is around 5 times stronger than un-toughened glass. Not only is it harder to break, but if it does break, it breaks into small fragments with square edges instead of razor-sharp shards of glass. 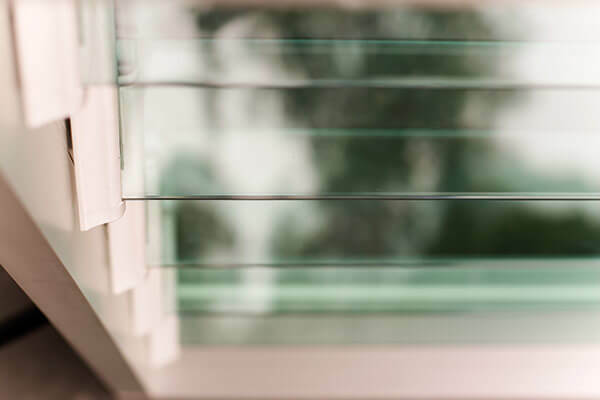 Building codes will require toughened glass in certain situations in the building. 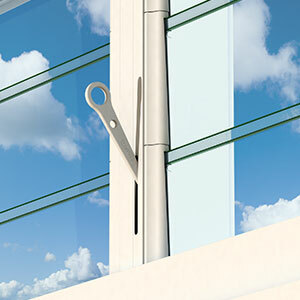 Toughening all glass blades is an extra precaution that is available. Timber and Aluminium Timber and aluminium obviously do not shatter at all. Clear views and maximum daylight Clear Glass Clear glass will maximise these considerations. Tinted glass can also be very effective with only slight reductions in daylight. Clear glass with a low emissivity coating and timber have insulating properties to reduce the heat transfer through the blade. Reduces the Solar Heat Gain when protection from direct sunlight is wanted. This will typically be a key consideration on western elevations (as windows facing the west are exposed to hot afternoon sun). Timber and Aluminium Timber and aluminium are solid blades and very effective in this role. Heat gain from direct sunlight is desirable Clear Glass In colder seasons heat gain from sunlight is a very desirable benefit. North facing windows will typically be clear glass to get this free heating benefit from nature. These glasses are obscure to provide privacy while also letting in daylight while closed. Aluminium and Timber Aluminium and timber are solid blades that will provide complete privacy while closed, but need to be open to provide daylight. Colour, visual impact Aluminium Aluminium blades can be anodised or powder coated to a wide array of colours. Our Western Red Cedar blades provide the timber “look” and the insulated benefits of timber. 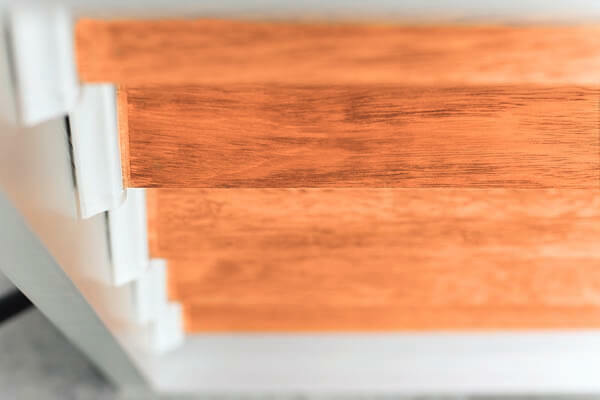 Aluminium – Decowood Aluminium blades can be finished with Decowood timber look powdercoat. This provides the appearance of timber, with the low maintenance of aluminium. Due to compliance laws you may need to restrict your louvre openings to meet state or local government regulations. There are a number of reasons why you may need restricted openings including situations when using louvres for fall prevention, louvres adjacent to swimming pools etc. To find out more please visit our Compliance page. For more information about our standard and restricted opening product offer please download the design manual on the downloads page. Not available with 102mm clip. As outlined in Clause F1.13(c)(iii) of the NCC, fixed louvres are exempt from compliance with AS2047. Louvres blades are fixed at a 45 degree angle. Altair Louvre Windows are custom manufactured to order, meaning there is a wide flexibility in sizes available. There are no standard blade widths, most louvres bays are between 600mm and 900mm but can extend up to 1200mm if using the Stronghold System. Off Standard heights are available but will add cost to your window and result in a fixed louvre blade to act as a filler piece. The type of window frame chosen will affect the standard heights. Please note: No off-standard heights are available with 102mm Powerlouvre Windows. There are no standard louvre blade or louvre bay widths. When determining the bay widths possible a rule of thumb is the higher the wind and water performance required, the shorter the blade should be (i.e. cyclonic regions). Most blade lengths are between 600mm to 900mm wide, or up to 1200mm if using the Stronghold System. Multiple louvre bays can often achieve the desired frame width. Breezway’s framing systems can offer a maximum of 4 metres wide. Please speak to your local window manufacturer for advice on your specific circumstances. * To calculate the gallery height only, deduct 10mm. For information on off-standard heights, please refer to the Compare Frames page to locate the Breezway Window System or Componentry of interest. For more information please visit the Dualair System page. 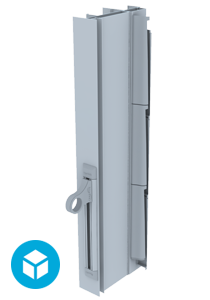 The Altair Louvre Keylock is strong and durable with an easy to use locking mechanism. Fits most frames and is installed on the opposite side of the handle. Same key can be used to lock or unlock multiple keylocks. For details on how to operate please view the Keylock Instructions Document. 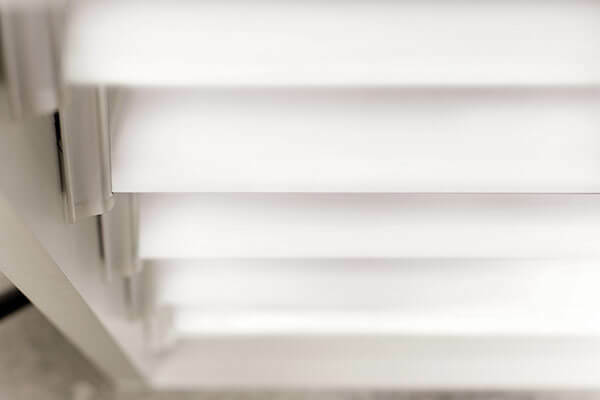 There are many window framing systems today that will allow a security or insect screen to be placed to the inside or outside of your Altair Louvres. Screens can improve the insulation and shading properties of the window. Breezway offers two framing systems with integrated housing for screens. Altair Components can be installed into other window manufacturer’s frames with screening capabilities. 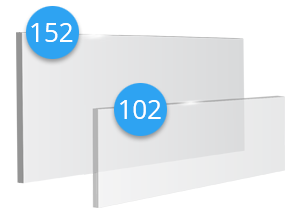 View screen deductions for your Easyscreen Window System or Innoscreen Window System. Visit our Where To Buy page to find your closest window manufacturer. Security bars are an effective barrier when the louvre is open, that unlike screens do not reduce any air flow. Available to fit 152mm blade heights. Can suit various frames types. 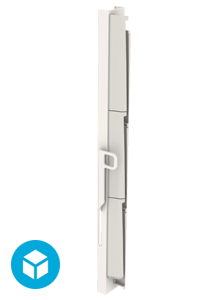 Optional 16mm D bar provides neat finish with no visible louvre and jamb fixings. 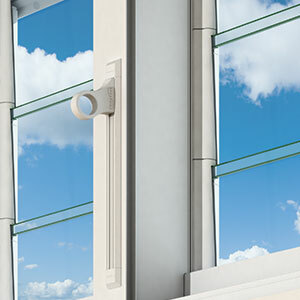 U channel system functions as an add on to the Altair Louvre System. View the Compare Frames page for more information. 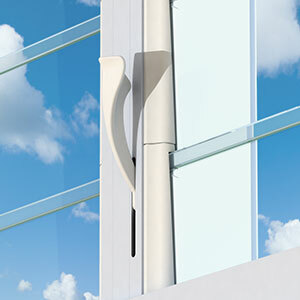 Breezway offers an extensive range of colours and finishes, many with optional colour matched handles and clips. Altair Louvre windows are available in three different surface finishes: 25 micron anodised, standard powder coating and high performance powder coating under warranty from Dulux and Akzo Nobel. Over time, weathering of powder coated surfaces should be expected, resulting in a gradual change in appearance. Selecting the right powder for the atmospheric conditions of the site and correct maintenance will be critical to the ongoing appearance of the finish. The application of high durability powder will reduce this deterioration and is essential for severe industrial, coastal or tropical environments. Note: Industry accepted colour variation can occur during the aluminium anodising process. These colours are available with optional colour matched handles and clips. Some colour variation between aluminium and plastic can occur. Our Standard Colour Range is listed below or view our Standard Colour Brochure. Please contact Breezway if you require a hard copy or to learn more about Off Standard finishes. To learn more about how to care for your aluminium finishes, please visit the Care & Maintenance page. NOTE: These colours are indicative only and may not exactly reflect their true colour due to differences in screen calibration. Clear anodised 25 micron gallery and Weatherstrip material is kept in stock. Other anodised products are subject to a longer lead time. Standard and Secondary colours will be reviewed and adjusted on a six monthly basis subject to market trends and customer usage. Paint codes are to be stated on all orders. 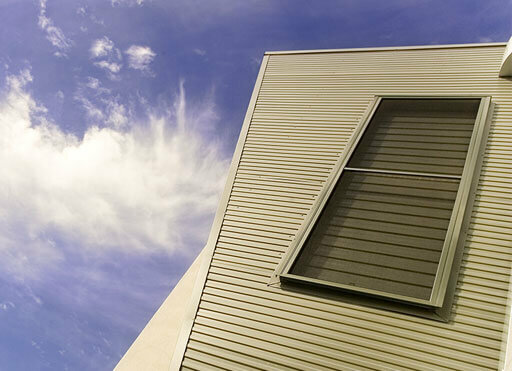 * Complement colour to Bluescope Steel’s COLOURBOND colour range. Selected finishes of identical colour and gloss levels may be used interchangeably. 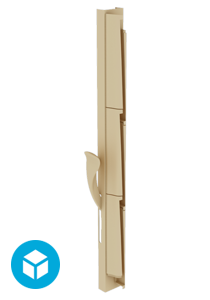 A handle and clip colour matched to the DecoWood Western Red Cedar high performance powder coating is available.